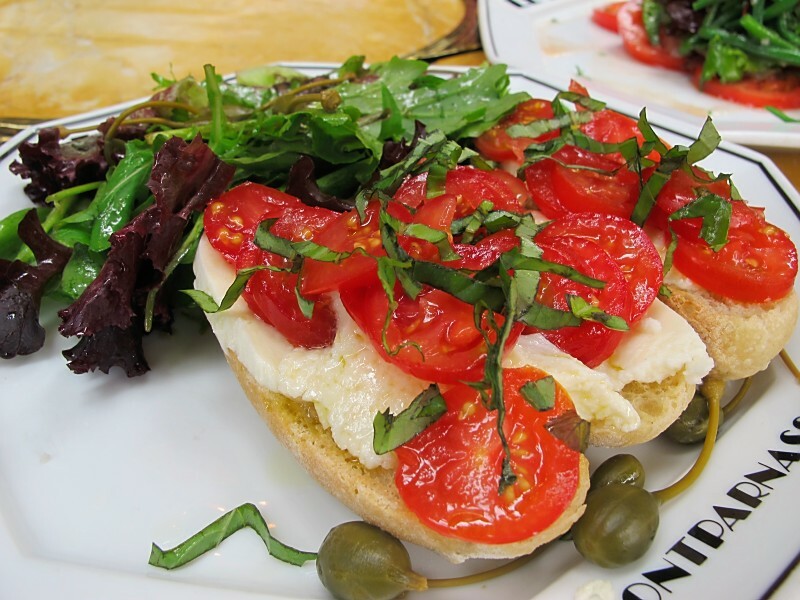 One of the things I was most excited about in Paris was the expat cafes. I wanted to drink coffee where Hemingway sat, write postcards with the ghosts of Henry Miller, Sinclair Lewis, Ezra Pound. We started our tour of literary landmarks with breakfast at Le Select. 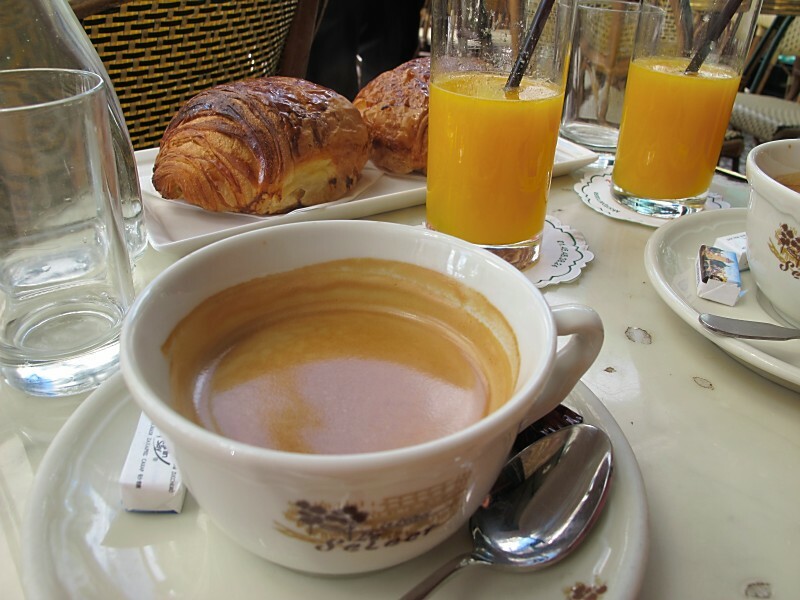 Most cafes in Paris offer a standard breakfast, which we ordered at Le Select: coffee, croissant, orange juice, water. Coffee is not standard American drip – most Parisians drink espresso, but you can also get “cafe creme,” a lighter brew doused with cream. Normally I take my coffee “cowboy style” (black) but I lapped up every bit of cream on our trip, and it was delicious. Le Select has a large open porch (as do most cafes in Paris), which led into a covered sun room. Our moderately grumpy waiter placed all of our items on the table with a clank, and then left us alone. The decor, with intricately caned chairs and worn marble table tops, seemed like it would have been perfect for a starving artist to spend his days ruminating about a new project or paramour. I could imagine Hemingway ambling to one of the American bookstores Dave found after breakfast, getting lost in their tiny passageways stuffed with novels. 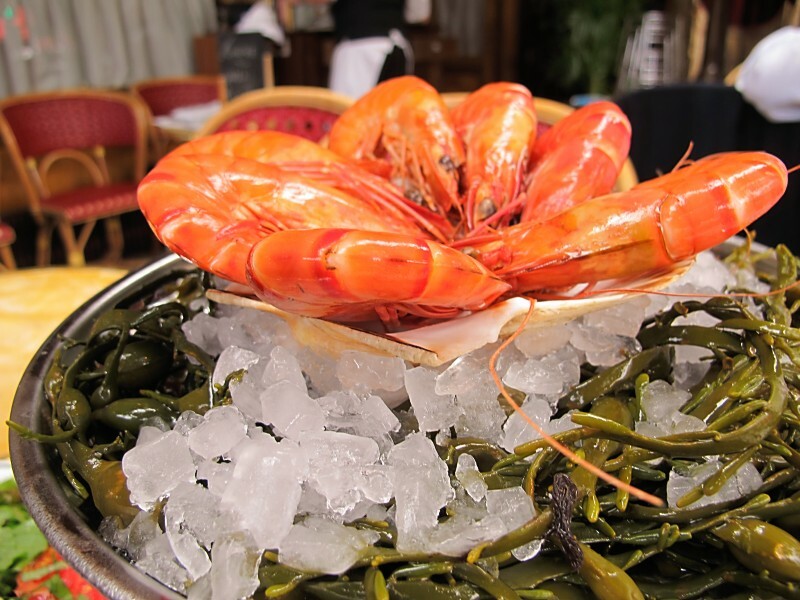 For our next stop, we chose Le Dome’s seafood and Michelin star for lunch. Once burned, we did not order oysters, but we did get some luscious prawns and a simple mozzarella sandwich, both excellent. We also had a salad of haricot vert and mixed greens, one of the only salads in Paris that did not come with eggs, lardons, butter poached mushrooms, etc. While all of the expat cafes had a boy’s club air to them, Le Dome was the stuffiest. This is not a slight – I still wish I could be considered a “Domier,” the term coined to refer to the international group of artists who used to eat here. But our tuxedo-ed waiter clearly thought drinking Coke Light with lunch was an abomination, and we were the youngest diners in the place by at least 30 years. Fortunately, our dessert at Les Deux Magots was a little more lively. 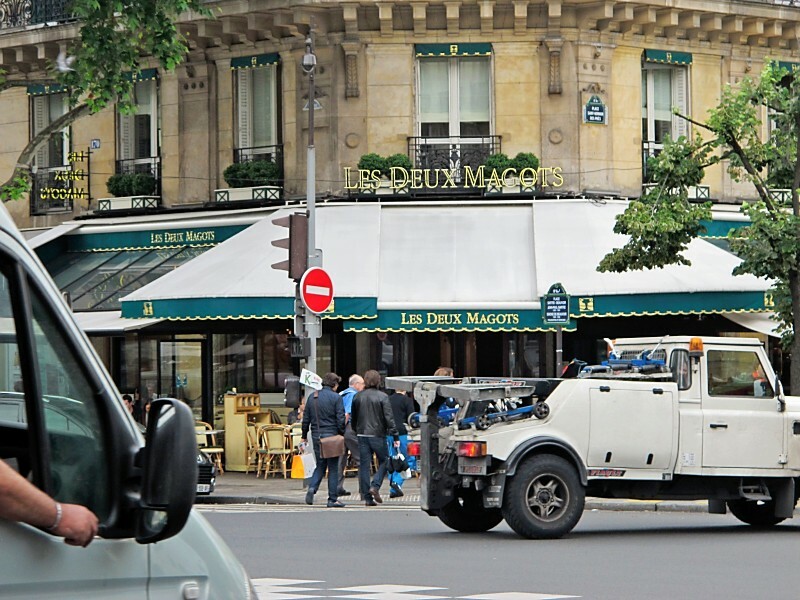 Across from the Saint Germain des Pres metro stop, the area around Les Deux Magots is rich with shopping and nightlife, so the people-watching after dinner was fantastic. We had more coffee and Berthillon ice cream for dessert, and if oysters were the biggest disappointment of our trip, this ice cream was the best surprise. Who knew Paris had such creamy, indulgent ice cream? More refined than gelato, less grainy than American-style, this stuff was fantastic. Les Deux was the most touristy of the cafes we visited – selling expensive plates, creamers, and matches emblazoned with its name – but it was still a charming reminder of the way 1920’s expats lived in Paris. Today, back to work and real life in Boston on July 4th, I wish I was an expat myself, celebrating with cafe creme and croissants.